Protect the work surface with newspaper. 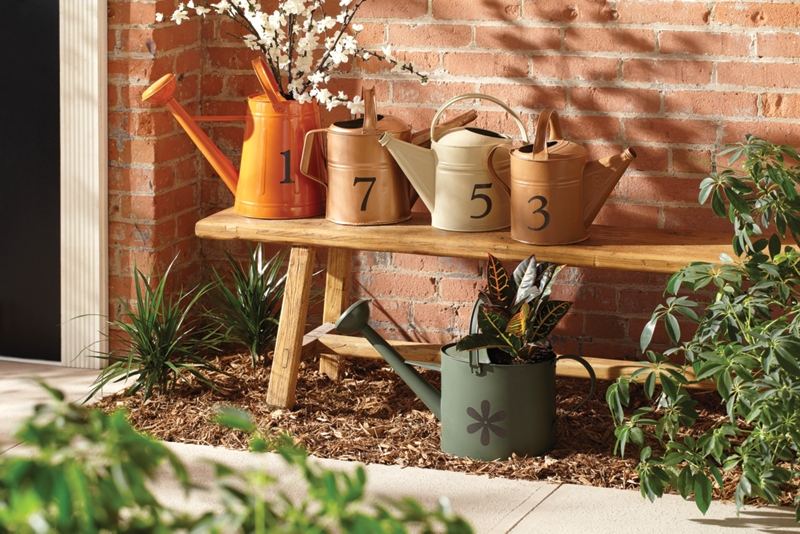 If the watering cans are newer they may only need to be cleaned and sanded with coarse steel wool prior to painting. If they have been painted remove the paint following the instructions on the paint remover. This step may need to be repeated depending on how many coats of paint there are. Use the white primer for light colors and the gray primer for dark colors.